This entry was posted on Monday, March 11th, 2013 at 18:40 and is filed under health. You can follow any responses to this entry through the RSS 2.0 feed. You can leave a response, or trackback from your own site. 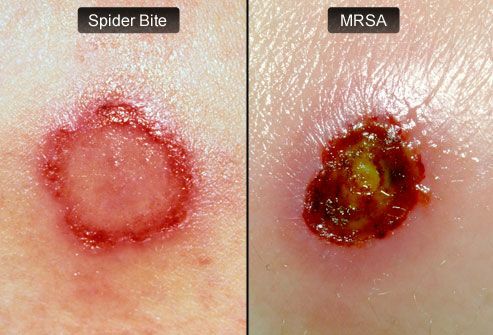 8 Responses to Did you know MRSA kills more Americans each year than AIDS? I live in Hawaii where “superbugs” are rampant. Hawaii has the highest MRSA infections in the nation, double the national average. A small hospital on the NE side of Oahu sees 2-3 human MRSA cases in just 1 ER shift. The State’s excuse is there is no $$$. There is also no reporting protocol. PNEUMONIAE). Five months later, he had to be put down. Both the MRSS and STREP were found to be RESISTANT to ALL antibiotics. During the 5 months, of care, the Vet/Clinic told us that there was no need to take any extra precautions (NO gloves or gowns needed when treating the dog) and they even had us stay in the waiting room with other humans and animals AFTER he was diagnosed. The Vet actually took a culture while we were sitting in the waiting room! I contacted every organization (both State & private), even contacted the Dept. of Health, the Hawaii Vet Board, the State Vet and even the Federal Vet and OSHA. No one felt it was in the least bit important. There was no concern about the public’s health and the companion animal population. Ironically, when I tried to inform the public concerning Multi Resistant infections and pets, I was threatened with a lawsuit by the Animal Clinic. Indiscriminate antibiotic use in veterinary medicine poses significant human health implications. We need to focus on prudent use of antibiotics NOW not later. can you tell me what kind of drug did they first give your dog? Rimadyl was what caused the hot spot. Wow .. that’s terrible and so sorry for your loss. It’s frustrating to witness / experience something like that and not have anyone pay attention. And so agree with you .. WAY too many antibiotics are used in human and animal health practice, in food industry, etc. No idea if they can help but you might want to submit your story to Jeanine Thomas, founder of MRSA Survivors Network since their organization has some high profile physician contacts within healthcare industry and strong proponents of sounding MRSA alarm. Link is above but it’s http://www.mrsasurvivors.org (also, when on their site, check out first article under “News & PR” to see some things they’re working on). Thank you so much for your reply. I did contact Jeanine, she was not surprised. I contacted the AVMA and they were beyond not concerned. They recommended I contact the Hawaii VMA and the guy in charge was really nasty. He said all Vets in Hawaii know about judicious use of antibiotics and implied it was probably my fault. I have contacted so many people/organizations and so far no one is the least bit concerned. I was shocked at first, now I am used to it. Most of the time, no one responds to my email, especially the Veterinarian profession. Public health I guess is not a real priority. When the Vet/clinic threatened me to keep quiet, I have made it my mission to do the opposite!!! I will for sure stay in touch!